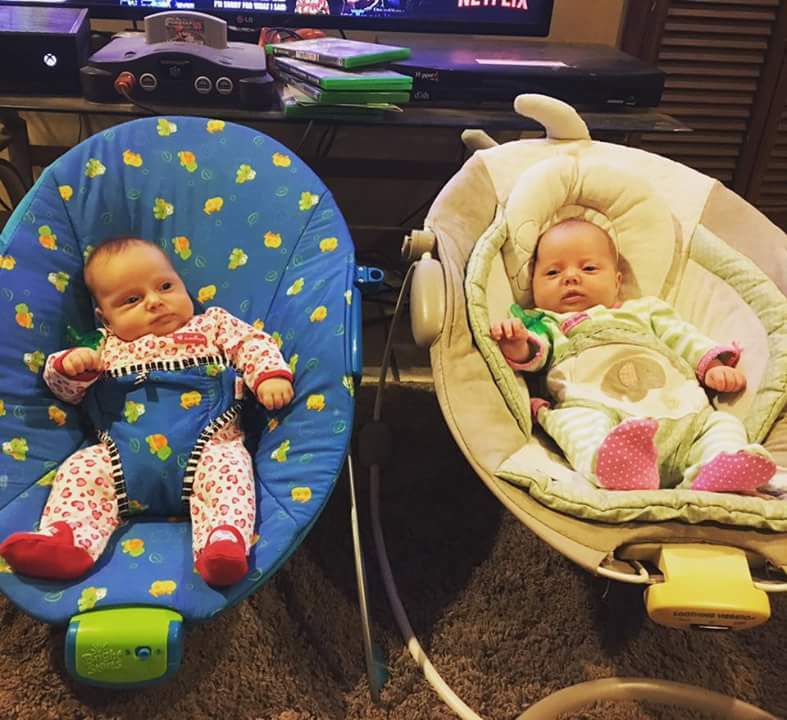 Olivia Bliss and Sophia Lynn made their unplanned arrival into this world on November 8, 2016 at 9:09 and 9:11 pm, respectively. 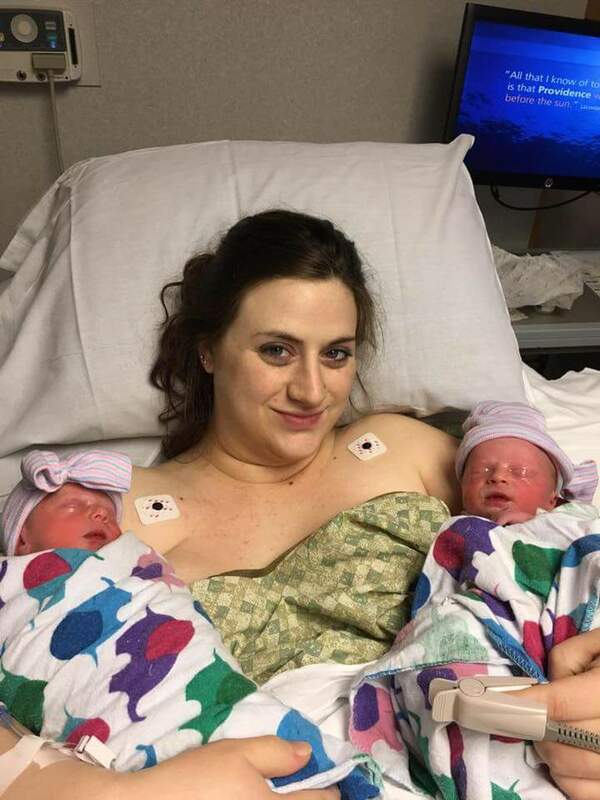 Olivia was 4 pounds 8 oz, 17.75″; Sophia was 5 pounds, 17.5″. I went to labor and delivery at 35 weeks 1 day pregnant for the second time in a week with high blood pressure. This time the doctors said since they were over 35 weeks, and my blood pressure was still climbing, it was time for baby girls to come out. A C-Section was scheduled for 4 hours later. I knew from the beginning that a C-Section was likely, so when my doctor said we should schedule one the month before, I wasn’t surprised or upset. The date was set for November 28th. Preeclampsia is dangerously high blood pressure during pregnancy, where high blood pressure was not an issue before pregnancy. It’s especially common in multiples pregnancies. The only way to make it go away, is to not be pregnant anymore. My C-Section was very routine and uneventful. The only thing was that damn spinal block. I don’t know if my anesthesiologist was inexperienced, or just having an off day, but she stuck me 14 times, before another doctor stepped in and did it in one shot. It was painful, and I was ready to kill the first doctor. Once the other doctor stepped in, everything was fine, and everything went very smoothly. My poor husband though, they told him it’d take about 15 minutes to get my spinal block and get me ready; it took 47 minutes. As the doctor took them out, and I heard them cry, the nurses said they were the loudest babies they had ever heard being born. Being a parent to twins really is something else. It’s exhausting, and rewarding. They are so different, yet so alike. There are days I laugh and smile, and feel so lucky. There are others when I cry, feel defeated, and wonder how the hell we will ever make it through this. 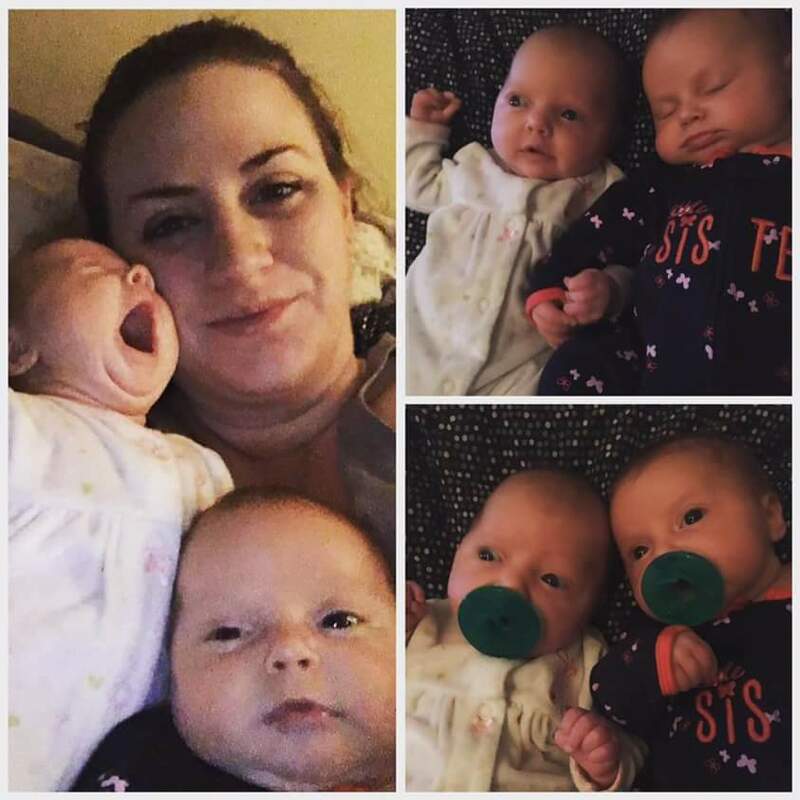 I look at these tiny perfect humans and I see myself, I see my husband, and at times I see our parents and grandparents in their tiny little faces. Being a twin parent forces you to be creative and resourceful. It makes you do things you never thought you could do. Like wearing your twins to the grocery store, and somehow doing your normal grocery shopping with 12 pounds of babies on your chest. 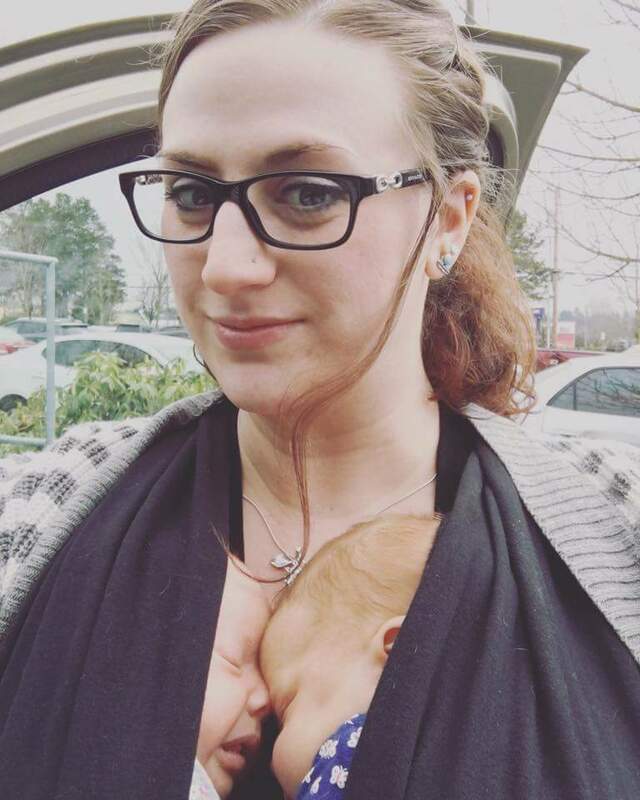 Every time I go out in public with the girls, either in the double stroller, or worn in a Moby wrap, I’m stopped by complete strangers. Exclamations of “oh my! Twins?” “Are there two in there?” “You sure have your hands full” “bless your heart” “you’re so lucky” “can I just take a peek?” “Seeing your babies has been the best part of my day” follow us wherever we go. Sometimes I feel like a side show, other times I feel like a total badass. But at all times I feel a love for them beyond description.